Ota has been working in the SSC / BPO industry from the year 2003. 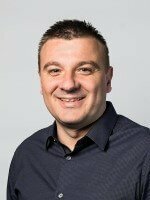 Since 2011 he has been leading the internal SSC for Accenture in Prague. From 2003 to 2011 he had been working in the BPO area lastly he was leading Finance & Accounting BPO for Accenture in the Czech Republic. His areas of expertise are: SSC / BPO market and management, finance and accounting, project management and operational excellence. 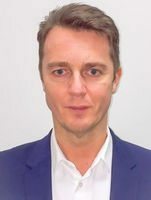 Jonathan is the Managing Director of ABSL Czech Republic which represents the interests of Global Shared Service Centres and Outsourcing firms in the Czech Republic, one of Europes top outsourcing destinations. 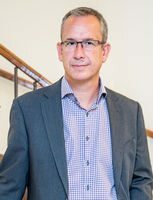 Jonathan has over 20 years experience in the CEE region and previously was a director at PwC Czech Republic where he supported Business Services clients in the Czech Republic and across CEE. Radka Bellissimo, Head of Jarden Business Services Group, leads Shared Services Center based in Prague, Czech Republic. Radka’s work experience spans from Shared Services, Business Process Outsourcing to Transitions & Change Management as well as Management Consulting where she has supported variety of projects and clients from a number of different industries across EMEA and North America over the last 20 years. 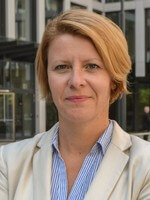 Radka previously worked for Johnson & Johnson Global Business Services, Accenture and Arthur Andersen. Veronika is a Senior Manager of the Healthcare Professional Training and Education Event Management team. She started in Medtronic at that time in Covidien in 2008 as one of the first employees of the shared service center. Over the years she held a numerous leadership positions in the finance field mainly in the accounting and cash application area. After the acquisition with Medtronic in 2015 she started to lead a team of event coordinators who are organizing the trainings and educational events with Healthcare professionals. Veronika is now finalizing her MBA studies. Jaromir is leading Regional Capability Center of International logistics operations with 150+ people driving global logistics control tower for multiple geographical zones. This unit is part of AB InBev Capability Center located in Prague providing shared services in area of logistics, HR, finance and procurement. Jaromir is with AB InBev since 2006 and has vast experience in various domains such as logistics, HR, project management including system implementations across both SSC area and business operations. Since 2008 Tomáš has been Managing Director of the Czech office of Process Solutions. In 2013 he held the position of Chairman of the Finance Committee of the American Chamber of Commerce in the Czech Republic. Previously he was working for international tax advisory firms and as an in-house tax counsel at some large utility companies. His areas of expertise are: leadership and development of a small BPO organization and business development in the area of professional services mainly accounting, payroll and trust services. He is a co-founder of ABSL. František is an Operations Manager at Novartis Global Service Center (NGSC) located in Prague. He has a 15-year experience in global shared service environment, IT/Telecommunication industry as well as broad range of senior expertise in building out business centers and leading transition initiatives in finance, IT and HR areas with aim to drive operational excellence. 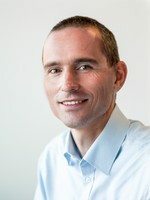 František joined Novartis in 2012 driving the IT Hub Prague expansion at first and since 2015 leading the NGSC Prague Operations. Prior to Novartis roles he held senior leadership roles in T-Mobile and Accenture. František graduated in the Czech Technical University and holds MBA degree. David joined Johnson & Johnson in 2002 as J&J Finance Director in the Czech Republic & Slovakia. Since March 2006, he has been acting as the statutory representative of JNJ Global Business Services s.r.o. managing the start-up activities and further development of this J&J global services center. In his role of J&J Prague Site Lead he provides overall site leadership to almost 600 employees and direction to the first level Contact Center teams located in Prague overseeing the delivery of reliable and high-quality services to internal and external customers across multiple functions (finance, procurement, human resources). Roman is an experienced executive director with a broad experience in finance & accounting, IT, risk & compliance and operations. He is currently leading Global Finance SSC function for global manufacturing company Edwards Ltd, having responsibility for managing centralized finance processes (Procure-to-Pay, Order-to-Cash, Record-to-Report, Information Provision&Analysis) and leading over 130 staff in centres based in Czech Republic and South Korea. Jan is Infosys BPO Regional Center Head, responsible for Infosys BPO presence and operations in the Czech Republic. In addition, he drives client relationships and business growth for a portfolio of Fortune 500 companies across Europe, US, and Brazil. He is a member of Infosys Global Management Council. Jan has been with Infosys for 10+ years and has been the founding member of the team that has built Infosys BPO presence in the CEE region. He has managed the first Infosys BPO global operations from the CEE region and subsequently played several operational, sales, and strategic roles in Europe and US. Helena came to ABSL with direct experience from the international expert and contact center BlueLink International CZ, where she worked as a Brand and Employee Experience Manager. She was engaged in projects that won BlueLink prestigious awards in the area of business services. Helena also has significant work experience from the media as well as NGOs as a project and marketing manager. As the Operations Manager at ABSL she is mainly responsible for business development, developing relations with ABSL members and partners and is in charge of ABSL projects and events at the operational level. 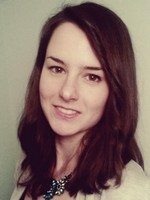 Kristina started to work on the position of Project Coordinator for ABSL Czech Republic at the beginning of 2017. She studied a Business Academy and straight after her studies she joined Accenture Services. There she gained two years of work experience, which she ended due to moving to the United Kingdom. In London, she studied the English language and worked for a year. Upon her return to Prague, Kristina joined the ABSL team and is now responsible for marketing and communication. 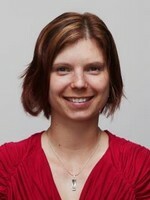 Lucie is the Event & Project Specialist at ABSL Czech Republic. She joined the team with the experience from both corporate and private sector, where she has been involved in events, marketing and project departments. Straight after the university, she started to work in Hotel Golf and then gained the beneficial work experience in Microsoft. Before coming to the ABSL, she worked as the Marketing & Project Manager in Citibank. Among other work, she coordinated the long term successful project of migrating clients to the new version of internet banking. Her current role within ABSL covers event and management. Marta supports the activities of ABSL by communicating with the media on behalf of the association and by providing other PR services. She has a great understanding of the business services sector and topics such as HR or IT. In her previous roles she worked for local media agencies as well as in a PR team of Oracle. In 2008, she founded a PR agency PRCOM, which provides services to many local and international companies and helps them achieve their business goals.